Wayanad Tour Package 4D3N Starting from 15,500.00 for two people. Includes Transfer from Kozhikode to Kozhikode, 3 Star Accommodation, Breakfast, Sightseeing. The name of the district Wayanad is derived from Vayal Nadu. Vayal represents Paddy fields and Nadu is the land. So Wayanad actually symbolizes a land of paddy fields. The serene beauty of the place lies in its nature and surroundings that include fog capped mountains, dense forests, and fertile green agricultural estates. It is also home to a group of wild animals and has a wonderful assortment of flora and fauna. The region is nuzzled in between the Western Ghats Mountains in the state of Kerala. Wayanad is home to eye-catching waterfalls, serene freshwater lakes, mesmerizing peaks, emerald woods, historical monuments, wildlife sanctuaries, places of pilgrimage and many other attractions.Its climate remains pleasurable throughout the year. The most suitable time to visit Wayanad is from September to April.The handicraft and handloom products of Wayanad could be considered when it comes to shopping at Wayanad. Spices and other natural products like tea and coffee from Wayanad are excellent gifts to carry back home. Beside that embroidered mats, rugs, fashion wares are some other products of the region that you can look to shop for at Wayanad. Formerly one of Asia’s most prosperous trading capitals, the busy coastal city of Kozhikode (also known as Calicut) is 225km north of Kochi and occupies an extremely important place in Keralan legend and history. It has played a very important role in Indian history. Being an important point for eastern spice trade during the Middle Ages, it was fondly called the "City of Spices". Today it stands out as one of the most visited tourist spots because of its portrayal of gorgeous nature along with outstanding human creation. Recently in 2012, the place was tagged as "City of Sculptures" as various sculptures are located in the city.You can find serene beaches, lush green nature, wildlife sanctuaries and a number of historical sites. It is a perfect place to have a tour with your friends and your family. 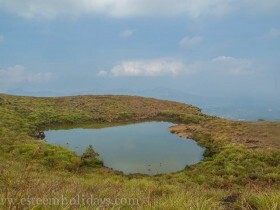 Another tourist attraction near Kalpetta, the Pookode Lake is said to be shaped like the map of India. It is the freshwater lake that houses freshwater fishes and blue lotuses. 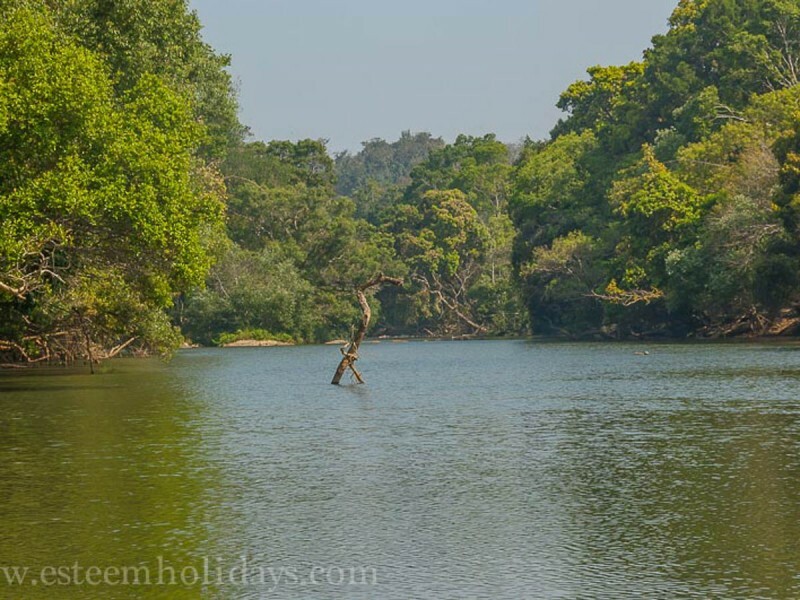 Nestled between the evergreen forest and the Western Ghats ranges, the lake has an air of isolated serenity that is irresistible to nature lovers and photographers. 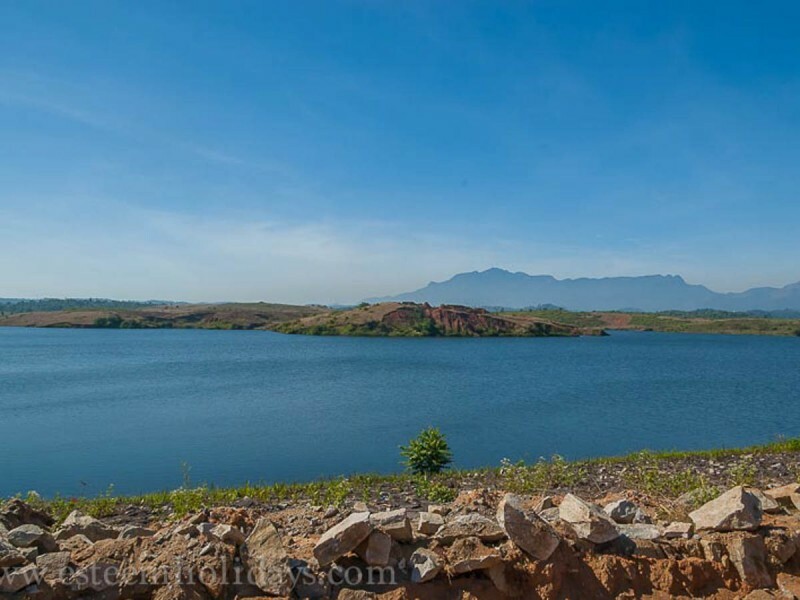 The lake is spread over 13 acres and is 40 m deep.This is one of the most preferred tourist destinations in Wayanad. Dawn or dusk is the recommended time to visit. One of the main tributaries of Kabini River, the Panamaram rivulet originates here. There are shopping centers close by, which sells spices and local handicrafts made from natural material. Apart from that, there is a nice aquarium close to the lake which displays numerous colorful freshwater fishes. Boats are available for rent, and plucking of lilies from the lake is strictly prohibited. 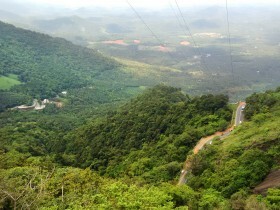 Lakkidi is the gateway to Wayanad which is located on the southern edge of Wayanad. Lakkiri boasts of incomparable scenic beauty, high mountain slopes, dense forests and cascading streams that create a lasting impression on the minds of people.This is a famous picnic spot that offers a fantastic view of the valley and the sneaking that road known as the 'Thamarassery Churam' that connects Wayanad with Calicut.The viewpoint is at a high altitude and one can see numerous hairpin curves on the snake-like roads below. The best time to travel up here is on a sunny day, as the mist might spoil the view. Tourists drive all the way up here just to enjoy the stunning sunrise and sunsets. Tourists come here to catch a glimpse of the hills and valleys of the Western Ghats. Tourists often stop by Lakkidi View Point, the vantage point which offers dazzling views of the surrounding cliffs and valleys. 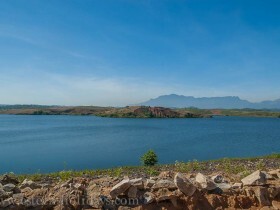 The Banasura Sagar Dam is the largest earthen dam in India and the second largest in Asia. The dam is made up of massive stacks of boulders and stones. It arrests the waters of Karamanathodu which is a tributary of the Kabini River. It aims to support the Kakkayam Hydroelectric power project and also contributes to the irrigation and drinking water requirements of the people during the summer season. It offers a breath-taking view and an ideal picnic spot. The reservoir which is formed by the dam is marked with tiny islands that are covered in thick foliage and with the Banasura in the background the view is simply breathtaking scenic mountains attract adventure tourists and the dam is an ideal point to start for trekking. During monsoon, tourists may also be able to witness small islands in the dam’s reservoir, formed when the water in the reservoir goes down. This site is a treat for photographer and nature lovers alike. Kuruva Dweep or Kuruva Island is a protected river delta. It comprises a cluster of islands over the middle of Kabini River in Wayanad. Kuruva Island is heavily populated with rich flora and fauna and spreads over 950 acres of land. The geographical peculiarity of this island makes this place evergreen with a serene ambiance.The one thing that is really striking about this place is the complete silence only to be broken by faint jungle sounds. There are actually three islands with a few submerged satellite isles. The main island has two freshwater lakes, that attracts various species of birds. The accessibility of the islands is via boats and rafts provided by Kerala tourism. The islands are managed and maintained by the locals living in and around the place. Neither partying nor picnics are allowed here. Touring the island is the only recreational activity permitted. Nature's gift, Kuruvadweep is a world away from the buzzing city life to all the visitors in this place. Translated as 'stone in between' the name Edakkal more or less describes the caves. They are two natural caves at a remote location at Edakkal, 25 km from Kalpetta. The cave is set on two levels, formed by a heavy boulder extending across a fissure in the rock. The first level of the cave is entered via a small opening, opposite to which a passage is leading to another opening, this time in the roof, which leads to the second level, much bigger in size than the first cave.The site has immense historical and archaeological significance. 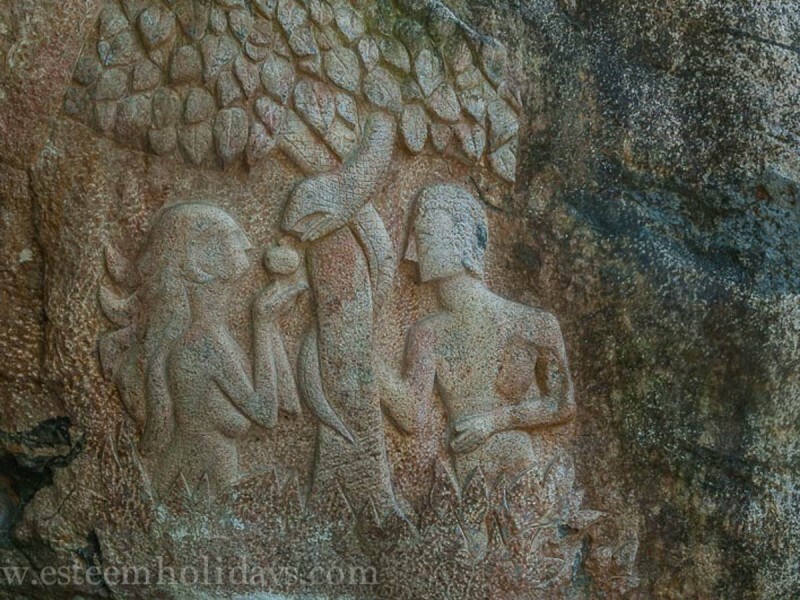 Edakkal caves are famous for its pictorial paintings (cave paintings), which are considered to be of 6000 B C old. The way inside the caves is past uneven rocks through an iron ladder and rock walls covered with moss and lichen. 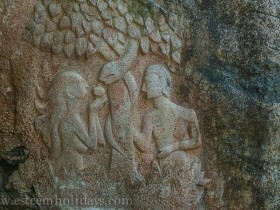 To reach the caves, one has to trek through the Ambukutty Mala. It will take 45 minutes to climb the hill and the trip will not disappoint you. Muthanga forest in the Wayanad is one of the foremost and targeted eco-tourism destinations the District. These ecotourism centers provide an unforgettable wilderness experience for the tourists. It is under the supervision of Kerala Forest Department. Frequent sightings of free-ranging wildlife like herds of elephants, guars, deer, monkeys, tigers, leopards, bears, many species of reptiles, fishes, butterflies, birds including vultures etc. isn’t something strange here. 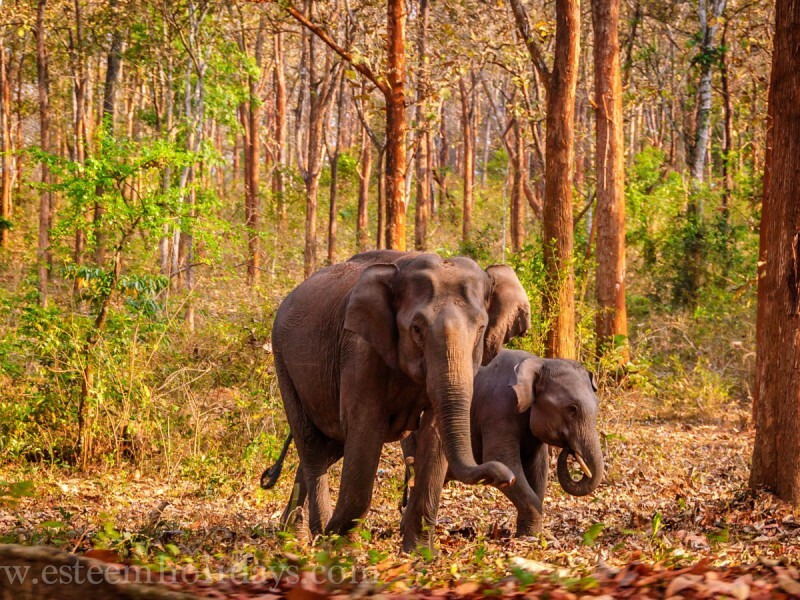 Medicinal plants’ garden, Birth Star Plants’ (Zodiac Plants) Garden, Muthanga Elephant Camp with 3 tuskers and one female calf, traditional tribal folklore etc. are other attractions in Muthanga.Deep conservation awareness is being created in the minds of tourists because of the ecotourism here. It is as much education as it is recreational. It is the main source of income and livelihood for local tribals and tourist guides. At a height of 2050 meters, Chembra Peak is the highest in Wayanad and the heart-shaped lake is located on the way to the top of this peak. It is believed to have never dried up. The lake is about halfway to the peak and can be reached only by foot. This picturesque lake is the popular tourist attraction and a halt for trekkers on their way up. Permission from the forest office is required for trekking up to Chembra Peak Heart Lake. Trek to the top takes about 3 hours, and one will get to see almost the whole of Wayanad.Suitable time to trek is in the months between September and March, preferably during the post-monsoon period as it will be more green and cloudy. It will be more slippery during rainy season so trekking should be avoided.A trip here will calm your entire being and get back to the world with renewed strength. 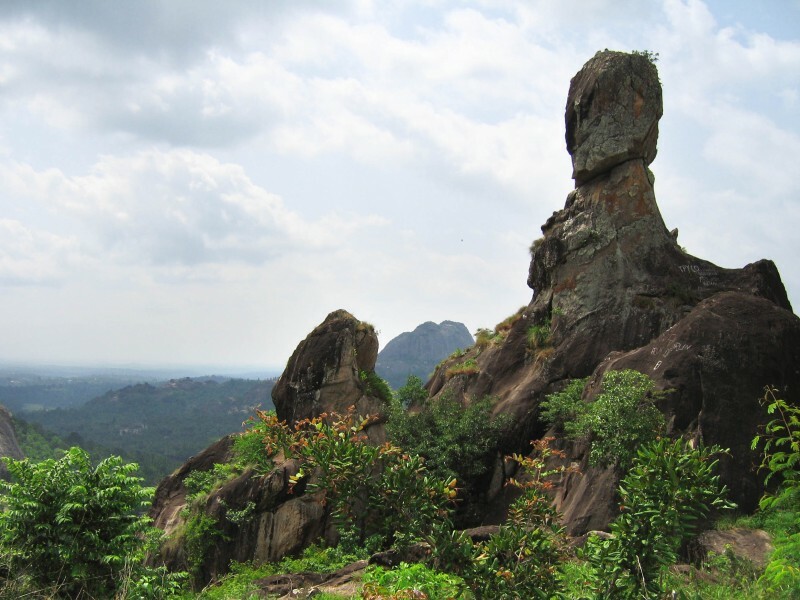 Phantom Rock aka Cheengeri Mala is an archaeological wonder that can be hardly spotted anywhere else in the world. It is a renowned place that is as unique as its name.The rock is naturally cast in the shape of the phantom skull and hence is famous by the name of Phantom Rock all over the world. It is formed out of huge metamorphic rocks. The picturesque place is 26 km away from Kalpetta and can be reached by trekking on the narrow lanes. Like other places of Wayanad, Cheengeri Mala is also one of the favorite spots for trekkers and hikers.The picturesque rock is standing tall at an elevation of 2600 m above the sea level and is enveloped in the lush greenery. it's a picture-perfect place for those who are looking for peace and solitude. The phantom rock makes it a potential tourist trekking and camping location. It is also known as Sentinel Rock Waterfalls. Plunging to a depth of about 200 meters, this three-tiered fall is the second biggest in Wayanad and is housed in picturesque surroundings. This waterfall is one of the prettiest spots in the Wayanad district and is labeled as nature's paradise. 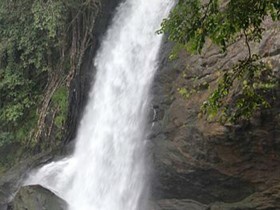 Located near Kalpetta in Wayanad, this spectacular waterfall attracts visitors from near and far. A gorgeous water body, the Sentinel rock waterfalls at Soochipara is a treat to the eyes. Rafting, bathing and other recreational water activities are facilitated at the pool beneath the waterfall. There are three huts in the area, which provide amazing views of the Western Ghats. There are a number of springs and shallow pools of water in the area.The 3 stretches of the waterfall end up in the Chaliyar River.To reach the falls you will have to go through a trekking trail that runs through tea gardens, rocky outcrops, and dense forests. There are a number of holiday home-stay options available here as well. Karapuzha Dam located in the Wayanad district of Kerala is one of the biggest earth dams in India. The dam is situated at a distance of 16 kilometers from Kalpetta. Nearly a dozen lakes merge together to form the huge Karapuzha Lake. One can either go for a bath in pristine, clear mountain waters or choose to stroll in the beautiful hills dotted with the different lakes.The dam is built mainly for the promotion of irrigational activities, but the surrounding greenery and the collected water attracts numerous birds to this area. You can spend hours sitting on the bank of the lake and breathing the fresh air and never get enough. The small trek to the dam is speckled with coffee and pepper plants. There is an overall air of peaceful serenity and a much recommend place for birdwatchers. It is very scenic therefore makes it an ideal picnic spot.